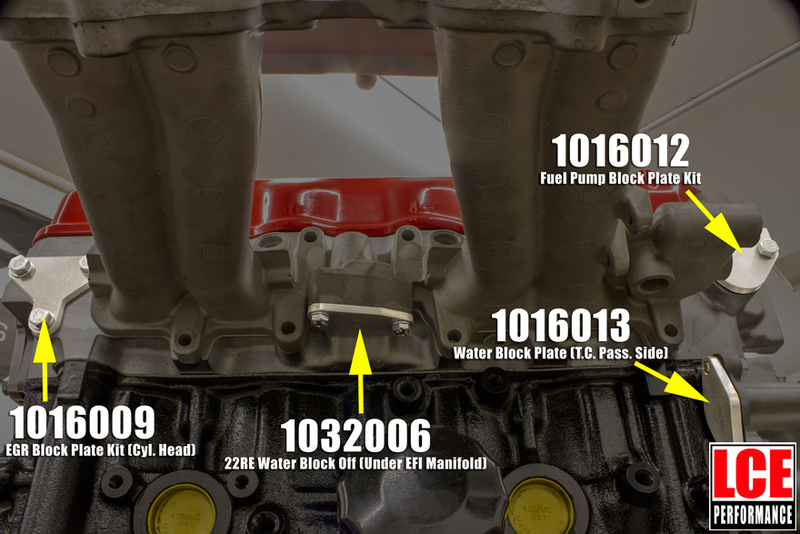 This water block off plate goes under the intake manifold on fuel injected 22RE engines. Check outwww.LCEngineering.comfor New Products, Tech Articles,Specials & Monthly Newsletters! The block off plates really helped to clean up the engine bay on my crawler by helping me eliminate a bunch of cluttered lines I don’t need anymore anyways! Should have done this along time ago.